On Thursday, in celebration of Women’s History Month, Kobe Bryant hosted more than 150 local Los Angeles girls at his newly constructed 100,000 square foot MAMBA Sports Academy for a basketball clinic and life skills development session as part of the NBA and WNBA Her Time To Play program. Her Time To Play was aunched by the NBA and WNBA in October 2018 and inspires girls ages 7-14 to learn and play basketball in a positive and healthy way, and increase opportunities for women in coaching and athletic leadership. Her Time To Play provides hundreds of youth organizations with a free basketball curriculum and life-skills lessons developed specifically for young women. 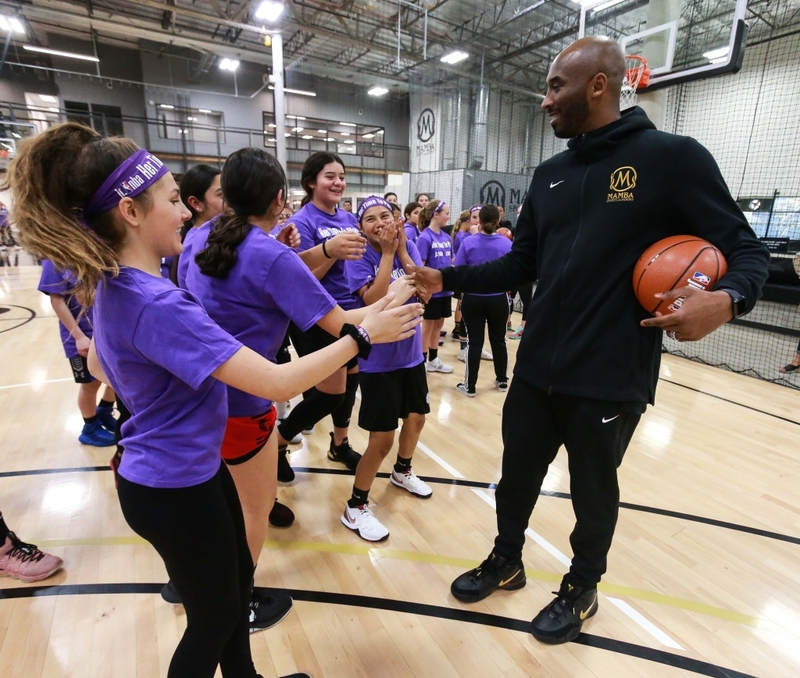 The event began with 40 minutes of oncourt developmental drills including dribbling, passing, shooting and defense skills led by Bryant and Los Angeles Sparks clinicians. Then the young ladies in attendance were followed by an all-star panel discussion moderated by ESPN’s Michelle Beadle and featuring Bryant, Cappie Pondexter (Two-time WNBA Champion), Danita Johnson (LA Sparks Team President and COO) and Keisha Nix (Executive Director, Los Angeles Lakers Youth Foundation).